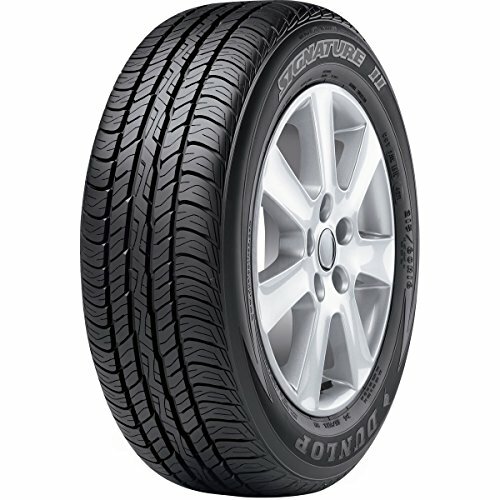 Signature II tires featuring T-speed ratings are Dunlop's Standard Touring All-Season tire developed to meet the needs of the drivers of coupes, sedans, vans and crossover vehicles. Signature II tires are designed to combine touring ride comfort with an athletic attitude by providing the responsive handling and confident cornering that enhances the connection between the driver and the road, along with year-round, all-season traction, even in light snow. Signature II tires feature an all-season tread compound molded into a symmetric design with circumferential channels and lateral Evaqua Grooves to efficiently pump water out from under the footprint and blend hydroplaning resistance with dry road handling and noise comfort. Multi-directional siping increases traction in wet and wintry conditions. The tire's internal structure includes twin steel belts to enhance handling and treadwear while Dunlop's Dimensionally Stable Polyester body (a special manufacturing process to pre-cure and pre-stretch the ply cords) delivers a smooth ride.